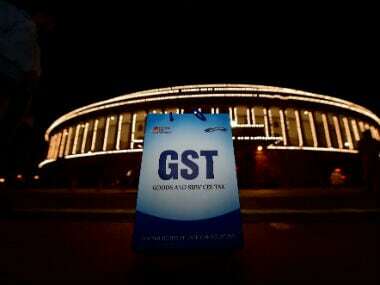 New Delhi: Goods and Services Tax (GST) collections in March came in at a record Rs 1.06 lakh crore, but not enough to meet the Union government's target for the fiscal year ended 31 March, official data showed. The Centre, which had upwardly revised fiscal deficit target to accommodate the cash-dole-out plan to farmers, was banking on its share of estimated GST collections of Rs 5.03 lakh crore out of about Rs 11.47 lakh crore in total mop-up for 2018-19. But, the final numbers showed gross central GST coming in at Rs 4.25 lakh crore, about Rs 78,000 crore short of what the Centre was targeting. GST, which was rolled out from 1 July 2017, subsumed 17 central and state levies and collections thereof are divided into three broad heads—central GST (which accrues to the Union Government), state GST (which goes to states) and integrated GST (that is divided equally between the centre and the state). Official sources said estimated Rs 5.03 lakh crore share of the Centre in the GST proceeds was after distributing states' share out of I-GST. The actual collection of Rs 4.25 lakh crore is after settling IGST. GST revenues were critical for the Central government to meet its revised fiscal deficit target of 3.4 percent for 2018-19 and a shortfall in indirect taxes, if not compensated from higher revenues from other sources, would lead to the target not being met. 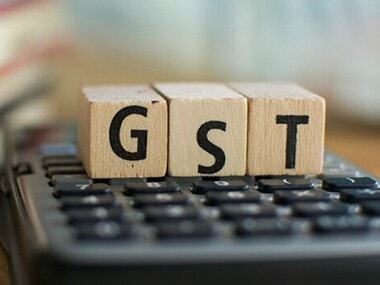 While GST collections have been gradually increasing since August, they came in at a record high of Rs 1.06 lakh crore in March, up from Rs 97,247 crore in the previous month, as compliance improved amid an increased number of returns filed, an official statement said. March witnessed the highest-ever monthly return filing since GST rollout on 1 July, 2017. The collections indicate that the revenue growth has been picking up despite various rate rationalisation measures. Finance Minister Arun Jaitley in a tweet said the record collections in March "indicates the expansion in both manufacturing and consumption". The record collection in March, 2019 of the GST touching ₹1,06,577 crore indicates the expansion in both manufacturing and consumption. Collections in direct taxes—made up of income tax and corporate tax—may as well fall short of the targeted Rs 12 lakh crore as only Rs 10.21 lakh crore was collected till 23 March. In a statement, the finance ministry said the monthly average of GST revenue during 2018-19 is Rs 98,114 crore, 9.2 percent higher than the previous fiscal. The gross collections during 2018-19 fiscal totalled a little over Rs 11.77 lakh crore. PwC India Partner and Leader Indirect Tax Pratik Jain said given the year-end's push, the collection for April 2019 (for the month of March 19) is also likely to exceed Rs 1 lakh crore, as was the case in April 2018. "However, it is worth noting that projected growth in GST collections for 2019-20 is around 20 percent over 2018-19. Achieving this steep target would call for substantial increase in tax base by plugging the existing leakages, as room for increase in tax rate seems limited," Jain said. For 2019-20, the government proposes to collect Rs 6.10 lakh crore from Central GST, Rs 1.01 lakh crore as compensation cess. The Integrated GST balance has been pegged at Rs 50,000 crore. 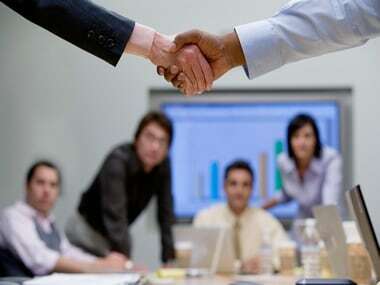 Abhishek Jain of EY India said major reasons for the growth in collections could be "reconciliations by businesses of outward and inward supplies, intelligent data analytics; related tax leakage detections and consequent GST payment by businesses". Devendra Kumar Pant, Chief Economist, India Ratings and Research (a Fitch Group company) said that the government has for FY20 budgeted for 21.1 percent increase in central GST and 24.8 percent growth in combined GST (central GST, integrated GST and GST compensation cess). Higher collections is a good sign with elections around, and the puzzle of this math can only be solved if one discovers whether the increase in collections has been due to the year-end sales increase, illegitimate transactions being trapped by the government or tweak in rates, Suresh Nandlal Rohira, Partner, Grant Thornton India said. Total gross GST revenue collected in March 2019 stood at Rs 1,06,577 crore of which central GST was Rs 20,353 crore, state GST was Rs 27,520 crore, integrated GST was Rs 50,418 crore and cess was Rs 8,286 crore. 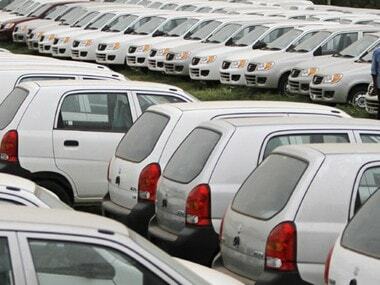 The collection in March, has been highest since the introduction of GST and the fourth instance of the mop-up breaching the Rs one lakh crore mark in 2018-19, which ended on 31 March. The collection also reflects a 15.6 percent growth over March 2018 collection of Rs 92,167 crore. 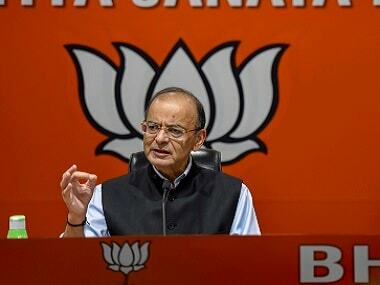 The GST collection stood at Rs 1.03 lakh crore in April, Rs 94,016 crore in May, Rs 95,610 crore in June, Rs 96,483 crore in July, Rs 93,960 crore in August, Rs 94,442 crore in September, Rs 1,00,710 crore in October, Rs 97,637 crore in November, Rs 94,725 crore in December 2018, Rs 1.02 lakh crore in January 2019, Rs 97,247 crore in February 2019 and Rs 1.06 lakh crore in March 2019.